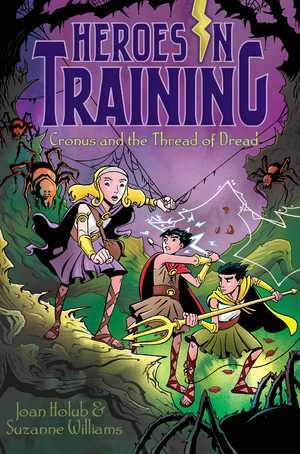 Zeus and the Olympians must deal with monstrous spiders and dangerous webs in this Heroes in Training adventure. A giant spiderweb in the sky with the words “Surrender Olympians” shows Zeus and his friends that they are in for another battle. Dodging the silky and sticky webs, the Olympians find themselves scattering in all directions to avoid getting caught.